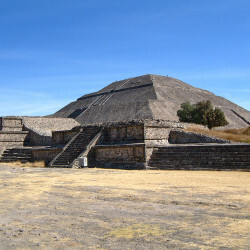 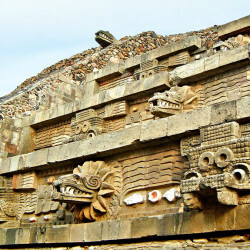 Teotihuacan is the most renowned and iconic ancient city in Mesoamerica. 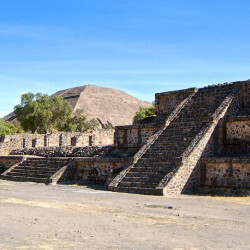 Little is known about Teotihuacan’s origins and how this enormous metropolis with its giant monumental structures came to be built so early in Mesoamerican history. 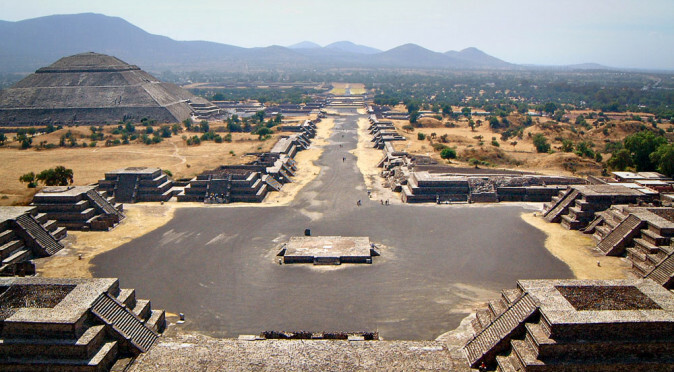 Teotihuacan was the pinnacle of urban planning in Mesoamerica and grew to become the largest city in the world, covering more that 20 square kilometres and home to over 100,000 people. 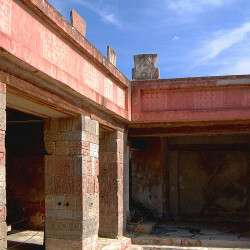 The population lived in luxury, with permanent stone houses decorated with fine murals, based around small courtyards with a communal kitchen, running water and a sewage system. 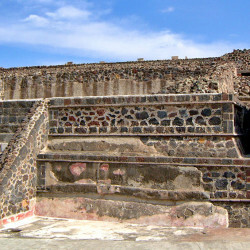 The city was arranged into districts and neighbourhoods in a grid-fashion, with paved streets connecting each home to the ceremonial heart of the city. 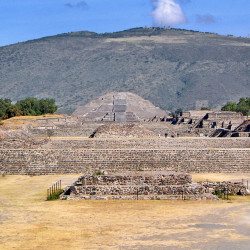 Within a few hundred years the greatest city in America had risen from the dusts of the Central Mexican altiplano and the Teotihuacano were expanding across Mesoamerica, helping to define the entire sub-continent. 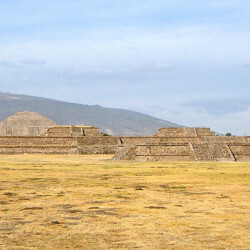 However, Teotihuacan’s temples and municipal building were mysteriously burned in the 6th century and the Teotihuacano influence over Mesoamerica rapidly diminished. 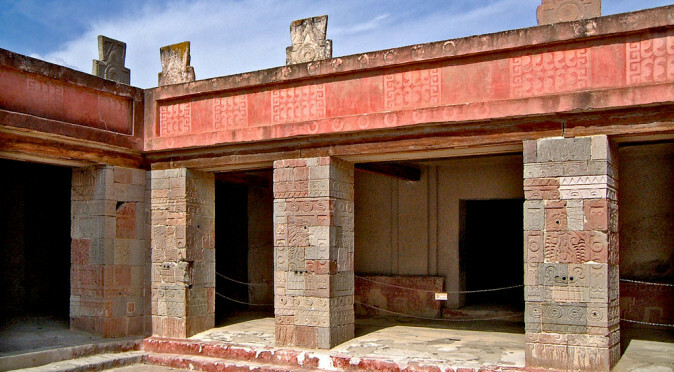 Incredibly, despite being the first great city of Mesoamerica, it achievements would never be eclipsed – leading to many speculative theories on where their great wisdom and engineering capabilities came from. 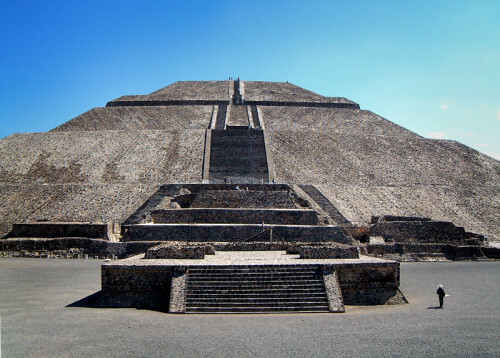 Its profound size and carefully aligned structures even perplexed the Aztec’s when they rediscovered the long abandoned city more than 1000 years after it was built. 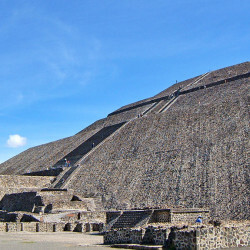 They named it Teotihuacan, meaning “Birthplace of the Gods” or the “Place where time began”. 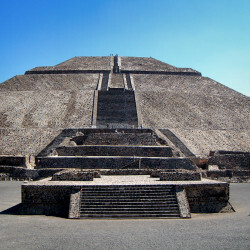 Pyramid of the Sun The Aztec’s own city, Tenochtitlan, would be the only other city that could be compared to Teotihuacan in size and infrastructure. 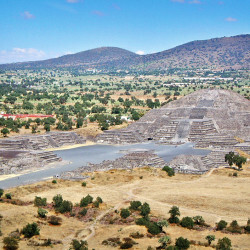 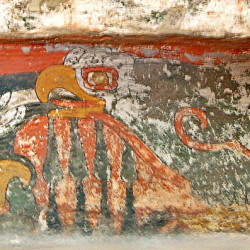 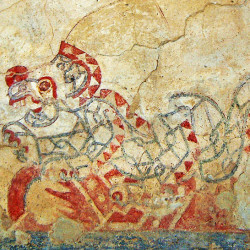 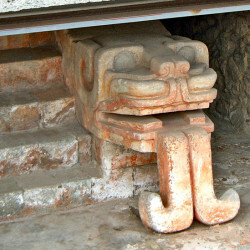 Tenochtitlan may even have been copied, in part, from what they found at Teotihuacan. 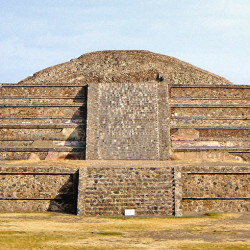 Tenochtitlan now lies buried at the heart of Mexico City, making any comparison extremely difficult, but it did appear to have the same offset alignment. 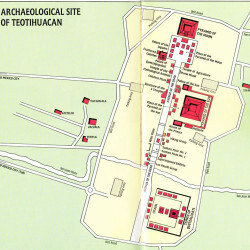 This alignment, 15.25º east of north, plays a very important role in understanding the city of Teotihuacan, its history, and its religion – in fact, it has triggered a whole new subject of research. 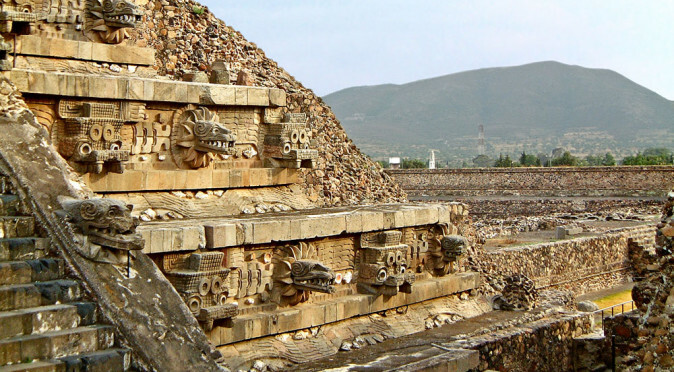 The alignment meant that the monuments and the entire city could face the sunset on the 11th August, which was the day the world was created n 3114BC. 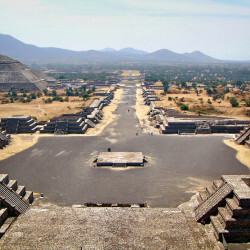 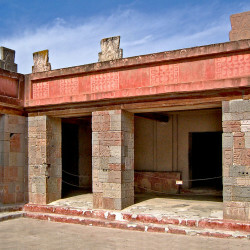 At Teotihuacan, the sun would set in the same spot 260 days later. 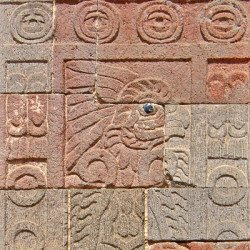 This period of 260 days was the length of the Ritual Calendar. 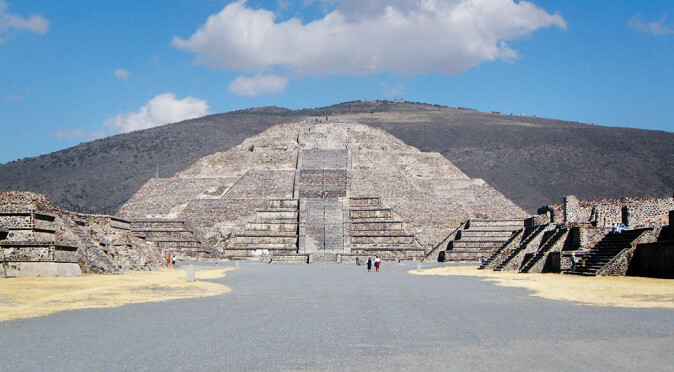 The Pyramid of the Sun was first to be aligned to the event, and it was also built 260 standard units wide and had 260 steps to the summit. 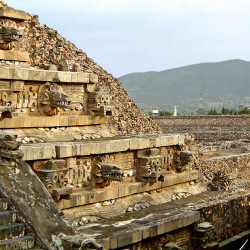 All of Teotihuacan’s building are now believed to relate to the cosmos and the beginning of time – which suggests the Aztecs knew rather more than we do when they named the city Teotihuacan. 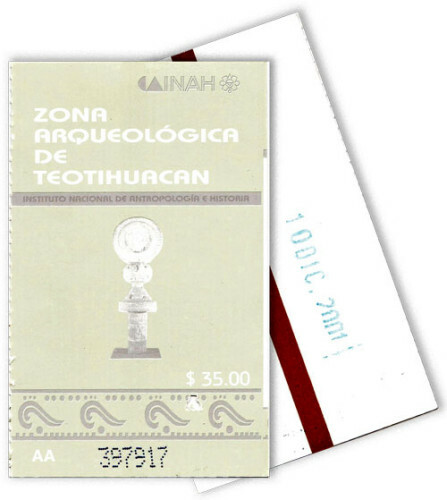 Tickets from 2001Teotihuacan lies on the edge of the sprawling megalopolis that is Mexico City, which like Teotihuacan is one of the biggest cities the world has ever seen. 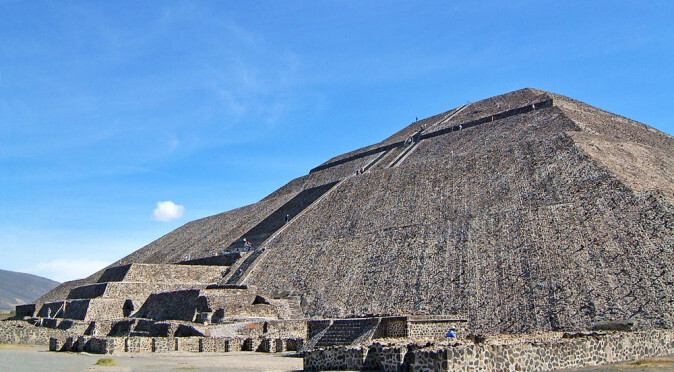 This makes Teotihuacan very easy to visit, even for those on a very short time-scale who are flying into Mexico City, but intending to head straight out. 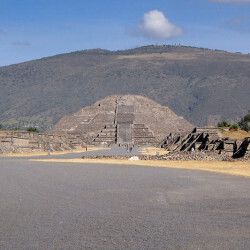 Mexico City is a fascinating and enjoyable city that has picked up a bad reputation, but one has to expect a lot of crime to happen in a city with 9 million people, with a density of 25,000 people per square mile – double that of London. 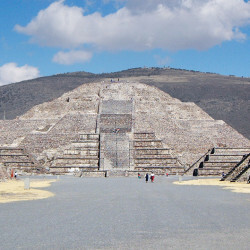 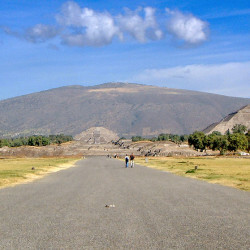 A trip to Teotihuacan can be done simply in a day by taking a bus from Mexico City’s northern terminal (which is on the metro/tube network), which takes approximately an hour. 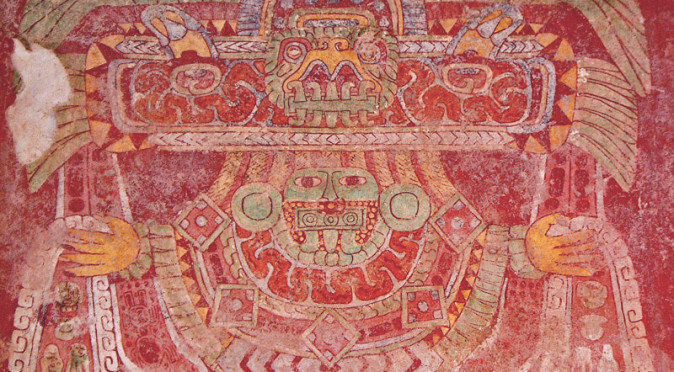 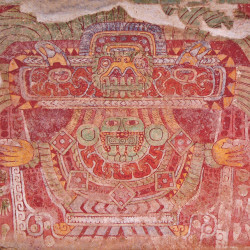 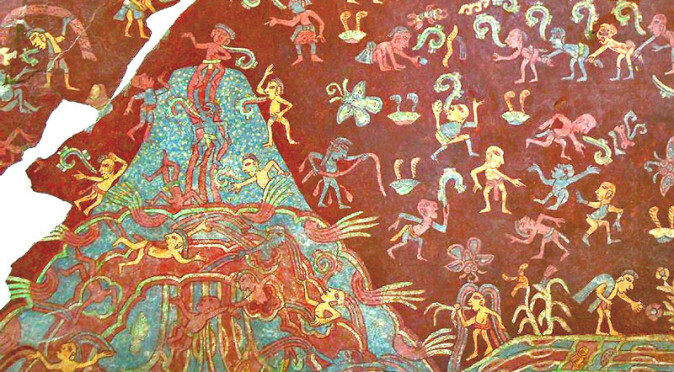 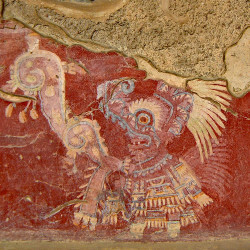 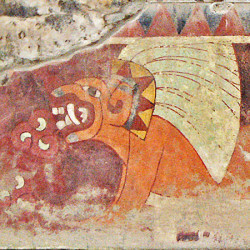 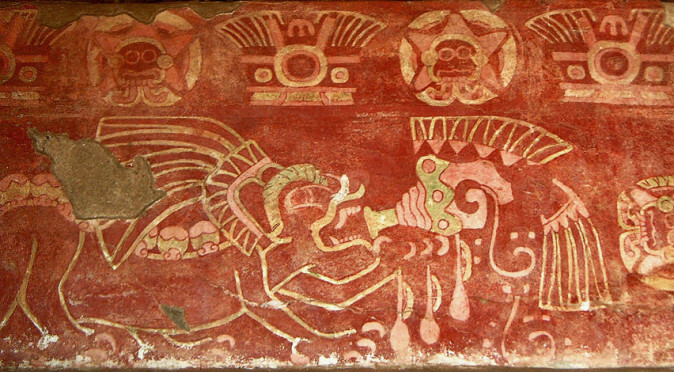 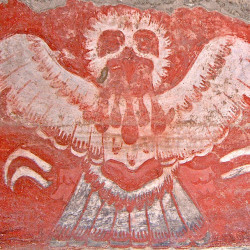 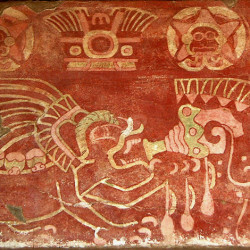 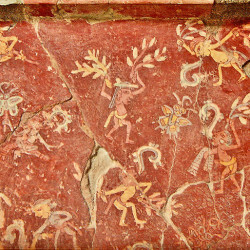 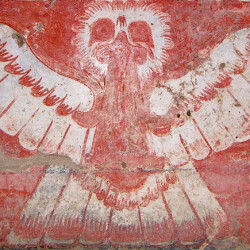 Decoding Teotihuacan’s pyramids, carvings and murals is a recognised field of study in its own right – with many conflicting results. 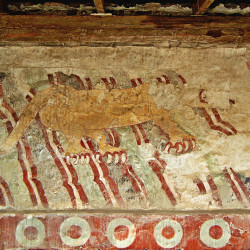 Through the related posts on this page, or by clicking on the images below, you can find out more about what the buildings represented and what the murals were designed to tell – most of which is incredibly interesting!